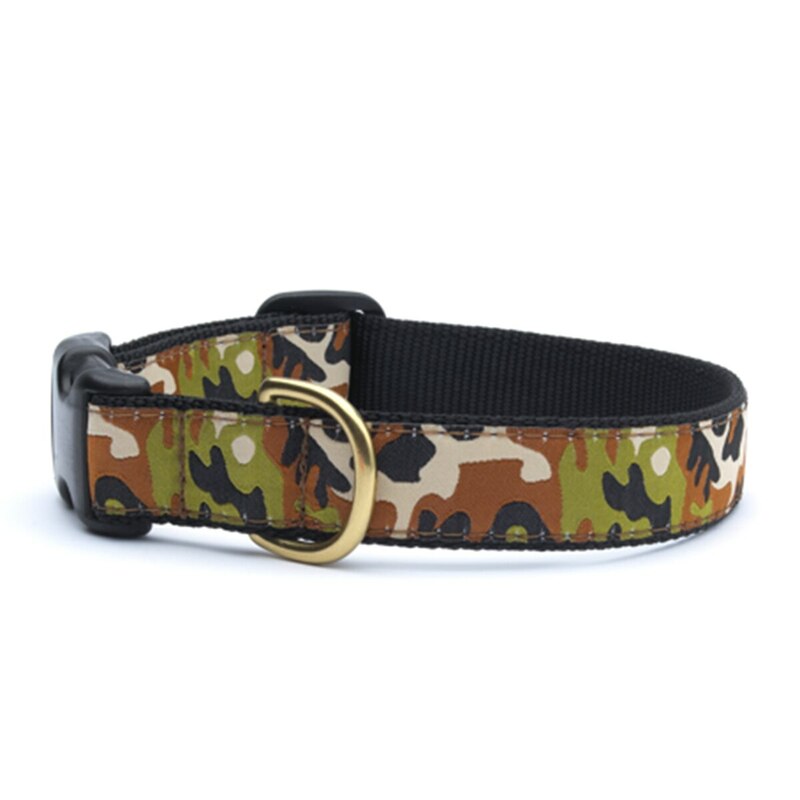 The UpCountry® Camo Dog Collar is made from high-tensile strength nylon webbing with sewn on polyester/nylon ribbons. UpCountry® ribbons are stain and fray resistant; designed to last a lifetime. All collar and lead hardware is cast, not welded brass for extra strength. UpCountry® buckles are Coast Guard approved for high weight hold. Machine wash cold, air dry. Made from high-tensile strength nylon webbing. The classic Baker® pattern you love for your horse is now available for your canine friend too! 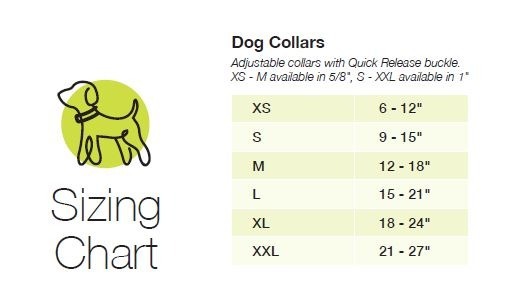 This beautiful collar features leather detailing and a neoprene lining for extra comfort.